Obtained from the old vineyards of Castello Bonomi Franciacorta a exclusive. Vineyard rediscovered that has brought a second life, precious rows of rare quality. 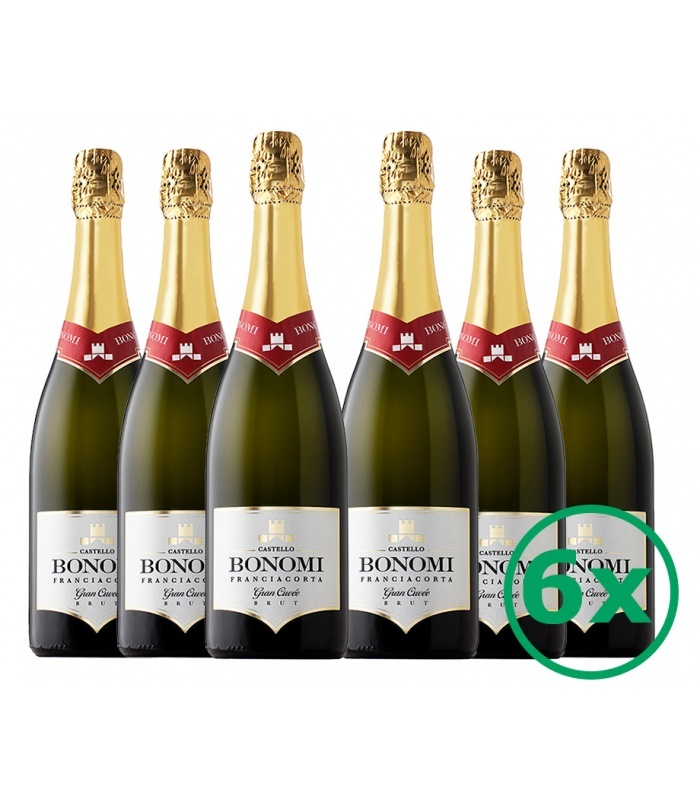 Franciacorta Gran Cuvée Castello Bonomi is the result of choices aimed at excellence. The SommelierSparkling wine from the ccolour straw yellow, with foam evanescent, and fine perlage. Clear and of good body with 12,50% vol of alcohol. On the nose the scent is pleasant and fine, fresh, with distinctive notes of biscuits, vanilla and toasted hazelnuts. The taste is fresh, soft with great structure. Suggested pairings: fish Dishes, a salad of octopus or shrimp, raw fish and shellfish, seafood risotto, sea bass baked in a salt or refined dishes with fish from the lake. With its elegant intensity, it also offers dishes from the taste more decided on the carpaccio of sea bream or with a shrimp risotto, amazing with cheeses of medium seasoning. Serve at a temperature of 8-10°C in the chalice, the Flute. Wineries: The wines come to life in the fertile lands and, above all, are born from the hands of men and women who have skills, tenacity, experience and great passion for vine growing... details.